Buy Cheap Red Jacket .15g Airsoft BBs | ReplicaAirguns.ca | Easter Weekend Sale! Umarex Red Jacket .15g Airsoft BBs 2000ct. 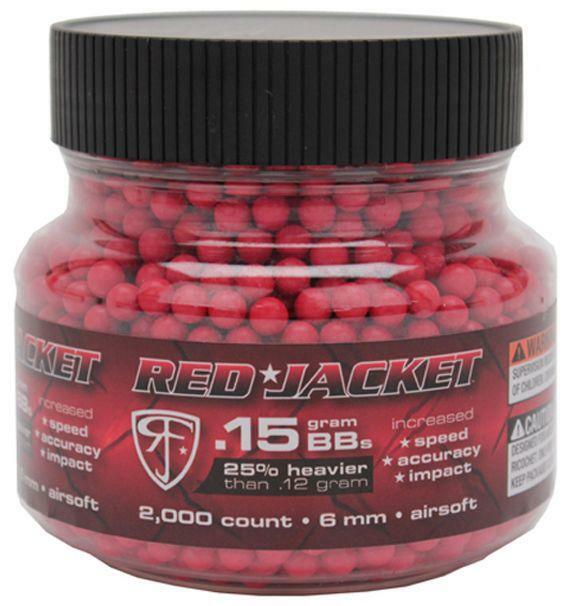 Comments: The Red Jacket 0.15g Airsoft BB’s by Umarex are perfect for your spring airsoft gun, providing a more stable and consistent trajectory than a standard 0.12g BB. The Red Jacket BB’s bright red color also makes them easy to see against most targets, making it easier to track your shots and adjust your aim.